to Change & Heal Your Life? Dorian Light is a Language of Light and Energy Healer, Psychic Channel, and Spiritual Counselor. facilitating quick life changes and deep inner healing. ​ to "Step into the Realm of Infinite Possibilities and Miracles". Please Note Package B & D with a Private Session with Dorian are Sold Out! and you don’t have to be present with Dorian to have it. When you purchase a remote session, Dorian will take your name and with her psychic abilities (Psychic Energetics), she will go into the Zero Point Field and scan your fields on all multi-dimensional levels. She will then take all the energy information that she has gathered, as well as any hidden and unknown information, and will infuse it with thousands of years of Qi-Gong energies and the Language of Light. That information will then be broadcasted into your Personal Energy Field as a daily remote session for one month to help you to shift, change and heal your life. ​Dorian believes in maintaining the highest integrity, therefore, she has tested this modality for over 2 years before presenting it to the public and has seen powerful results in her test client’s lives. The beauty of this modality is - you don’t have to be present! The “Monkey Mind” always wants to know and can question how a remote session is possible. Everything is energy and it doesn’t have any limits, therefore, with these remote sessions you can go about your daily life and just notice the changes! NOTE – With this modality, a written report of what was found is not provided as it is usually extensive and very complex as the energies work with all aspects of your multi-dimensional being. Dorian is offering these two Powerful modalities to assist you on your spiritual journey and ascension process. Once you purchase this package, you will be given the start date of your 30-Day Group Remote Session* and asked to immediately contact Dorian to set up your Personal Session** which will be scheduled after the Group Remote Session is complete. This is a beautiful way to prepare for the Personal Session with Dorian as well have 30 full days of remote clearings, healings and activations. ​Dorian Light's one-to-one sessions are powerful and life-changing as her work with Psychic Energetics, the Language of Light and the Zero Point Field delves into the core issues that may be keeping you from stepping into your power and true authentic self — from clearing old belief systems, imposed ancestral contracts, false constructs, soul experiences and much more; to healing your multi-dimensional and cosmic self. Dorian's work can help you to make permanent and transformational changes in your life as her work goes down into the soul's memory banks clearing the cellular memory, re-aligning your frequencies and activating the DNA. Dorian's sessions are interactive as she welcomes you to be a part of your own healing process as self-empowerment is a key to your mastery. Dorian not only helps you to clear and heal your life, but teaches life-changing techniques that can help you to step into the highest and fullest potential of who you are and what you came here to do with all your skills, gifts and abilities. *Your 30-Day Group Remote Session must be completed prior to the Personal Session. **Your 30-Minute Personal Session with Dorian Light must be scheduled within one year from date of purchase. This soundtrack is a guided meditation that walks you step-by-step through the process of creating and using energy tools to help you clear and balance your energy field. Everything and everyone is made up of energy. Different energy centers within and around your body are influenced by your own thoughts, feelings and emotions as well as those of others. It is very important, especially during this Great Shift of the Ages to have energy tools to use daily to keep your energy field clear and free from negative inside and outside influences. Using the methods and techniques presented will help you to stay grounded, improve your memory, and help you to feel more focused, have more ownership of your space and energy, be less affected by others, and feel happier, more stable, balanced and aligned. These are techniques and methods that Dorian Light uses in her daily spiritual practices. Included is a PDF cheat-sheet for your use after you have done the step-by-step energy clearing. This 30 Day Group Remote Session is very powerful and you don’t have to be present with Dorian to have it. When you purchase a remote session, Dorian will take your name and with her psychic abilities (Psychic Energetics), she will go into the Zero Point Field and scan your fields on all multi-dimensional levels. This soundtrack is a guided meditation to take you on a journey of expanding your Inner Light and anchoring more deeply with the Highest Enlightened Awareness of your soul. Practicing this powerful Inner Light technique as often as possible will assist you as a Being of Light to expand your consciousness, awareness and center of your being on command. It will also help you to expand your Inner Light out into the planet and the Universe to help heal and assist others. This soothing soundtrack lifts you to new heights and puts you on a journey of expanding your Inner Light. It is the second in the Language of Light series, following the original Sound of Light soundtrack. An equally powerful and beautiful soundtrack, the words of the Language of Light will continue to help you shift, change and heal your life. Infinite Universal knowledge, wisdom and life-changing powers are stored deep within its message. This sound track is a guided meditation that walks you step-by-step through the process of creating and using energy tools to help you clear and balance your energy field. Everything and everyone is made up of energy. Different energy centers within and around your body are influenced by your own thoughts, feelings and emotions as well as those of others. It is very important, especially during this “Great Shift of the Ages” to have energy tools to use daily to keep your energy field clear and free from negative inside and outside influences. Using the methods and techniques presented will help you to stay grounded, improve your memory, help you to feel more focused, have more ownership of your space and energy, be less affected by others, and feel happier, more stable, balanced and aligned. These are techniques and methods that Dorian Light uses in her daily spiritual practices. A brand new, professionally produced MP3 featuring crystal healing bowls, and Psychic Energetics allowing you to heal the Wounded Child. A mesmerizing and healing journey for full integration of the wounded child. 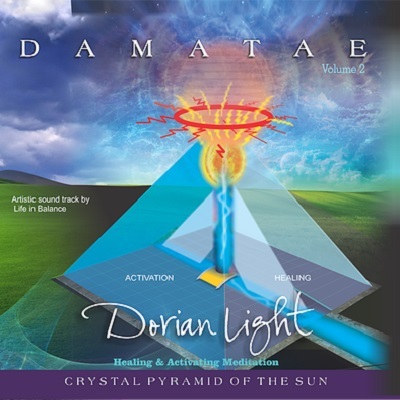 DAMATAE is a guided meditation that takes you into the Crystal Pyramid of the Sun where all things are possible. The Crystal Pyramid is a real multi-dimensional pyramid that lies in the Meadow of Life. In the Crystal Pyramid you will clear and heal old sabotaging patterns from ions of incarnations; bask in the rejuvenating and regenerating Liquid Light of the Creator’s Life Force Energy; and receive a profoundly transformative Language of Light sound frequency activation. This powerful meditation can help you shift, change, and heal all areas and aspects of your life! 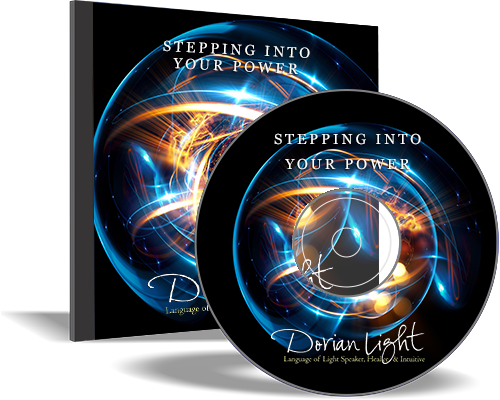 In this 2-hour session, you'll experience Dorian's powerful work as she clears the energy fields of sabotaging patterns that keep you from stepping into your power and opening up the doors to Infinite Possibilities for your life. Experience a full 3 hour session with Energy Intuitive/Healer and Psychic Channel, Dorian Light, who uses the Language of Light and Psychic Energetics to clear old patterns and programs dealing with "Poverty Consciousness" which may be stored in your subconscious and soul's memory bank. These patterns and programs can be from your current life in the form of belief systems or from past lives as programmed experiences. Clearing these patterns and programs will help you to create the future of your dreams during this time of the Great Shift. Dorian discusses the clearing and healing elements of Psychic Energetics and the Language of Light. Dorian Light's one-to-one sessions are powerful and life-changing as her work with Psychic Energetics, the Language of Light and the Zero Point Field delves into the core issues that may be keeping you from stepping into your power and true authentic self — from clearing old belief systems, imposed ancestral contracts, false constructs, soul experiences and much more; to healing your multi-dimensional and cosmic self. ​This soothing soundtrack lifts you to new heights and puts you on a journey of expanding your Inner Light. It is the second in the Language of Light series, following the origional "Sound of Light soundtrack. An equally powerful and beautiful soundtrack, the words of the Language of Light will continue to help you shift, change and heal your life. Infinite Universal knowledge, wisdom and life-changing powers are stored deep within its message. Being of Light to expand your consciousness, awareness and center of your being on command. It will also help you to expand your Inner Light out into the planet and the Universe to help heal and assist others. 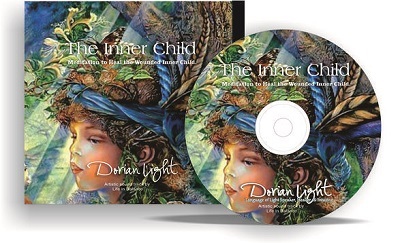 This MP3 is a powerful 3+ hour event where Dorian explains our soul's journey out of the Pure Consciousness of the Godhead where we played for millions of years into the various frequencies of the Lower Worlds and Multi-Verses. Even though the process of descending into the Lower Worlds was necessary for us to continue our journey as souls since the Universe is ever expanding and creating, it was a traumatic experience for most. Through this process we created belief systems such as we are "Separated from Source", we are broken, not good enough, not worthy, that we need to redeem ourselves. We have carried these belief systems and patterns since the beginning of our journey into the various multi-dimensional realms of the vast cosmos. Through the Psychic Energetics work that Dorian does in this live event, she goes into the core of the patterns that were created so that you can receive clearing, healing and freedom from the trauma, pain, belief systems, and patterns you have carried throughout your vast lifetimes. This is a very powerful process for all who are longing to step into the freedom of their own truth & into their power! In this 2+ hour event, Dorian will use Psychic Energetics to go into the core belief systems and experiences that you may still be carrying that are creating blockages or sabotaging patterns in your life. Everything starts with a belief system that is why it is important to go back to the very core of that belief system to dismantle and expunge it out of the various aspects of self and the subconscious. By dismantling these core beliefs, your Higher Self and Subconscious will be allowed to bring in the truth of you really are — an infinite being of divine light & power! From the time that we came down out of the Godhead of Pure Consciousness into the Lower Worlds (Astral, Causal, Etheric, etc. ), we started created according to our belief systems that we established during our experiences. Once we started incarnating as "Human Beings", we started processing everything through our human filters. Thus, we started creating and storing various belief systems, stories, label and identifies of Who We Are. We then used these filters to play out our various games of being human. However, as we progressed in our human experiences, we also created sub-personalities and aspects of self that we became identified with. Thus, a conflict began between the "Soul and its MIssion" and the identities and belief systems of the various Sub-personalities created through the Human Filter or Psyche. The Soul always says "YES" as it tries to move forward on its evolutionary path but the Sub-personalities says "NO" based on their own stories and fear. In this 3 hr. live event, Dorian explains how the development of the "Human Psyche and it's Sub-Personalities" became saboteurs and what we can do to help them to release and heal their false identifies so that the Soul and the Human Psyche can start merging in agreement into One Unified Field. Powerful Healing work is done in this event so it is a valuable mp3 to have in your spiritual toolbox! 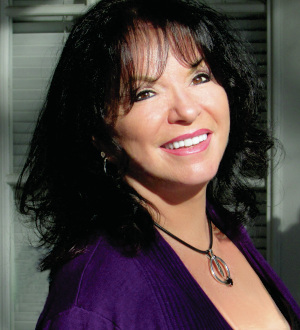 "I have been working with Dorian for several years and believe she is one of the most powerful healers on the planet. She has helped me change my sabatoging belief systems, unblock my finances and change my relationships. Her work is truly profound and life changing. 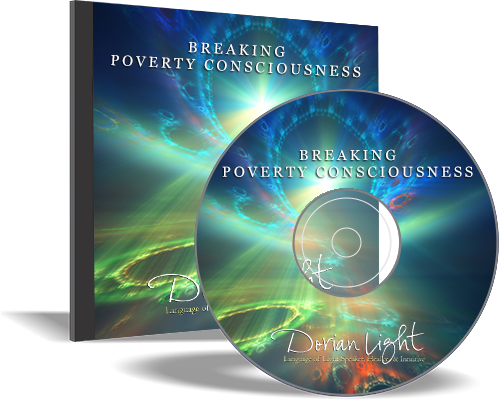 Dorian Light is a Psychic Channel, Licensed Spiritual Hypnotherapist & Counselor, Motivational Speaker, Language of Light Speaker, Radio Show Host, Energy Healer and Ordained Minister. Dorian is the founder of Psychic Energetics and is the creator and channel of the one of its kind oracle card deck called “Universal Activations with the Language of Light”. Dorian uses her strong psychic and intuitive abilities to see into a person’s energy field from any lifetime where core issues, blocks, patterns, programs and traumas reside. She is then able to shift, dissolve and resolve these issues thus facilitating quick life changes and deep inner healing. She also brings in new patterns of information and awareness that help you to align more completely to your “True Authentic Self” and to your “Designed Soul’s Purpose”. 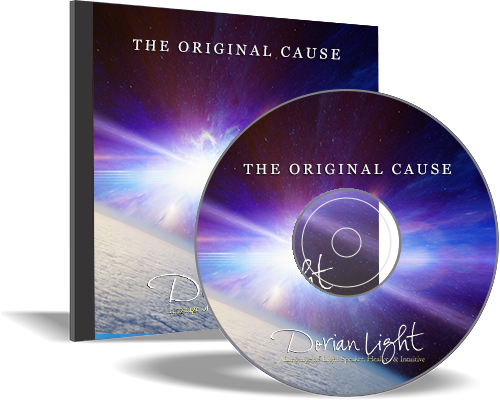 Using her gift of the Language of Light, Dorian facilitates Light Code Attunements, Alignments and Activations which facilitate shifts in all multi-dimensional aspects of one’s self down to the cellular and DNA level. Dorian’s Mission Statement is – “I help you to heal your past so you can create the future of your dreams”.